If you're like most people, you can't leave the house in the morning or go to bed at night without brushing your teeth. If you're ever stuck without a toothbrush, however (perhaps you are camping, or forgotten to pack one while traveling), you can brush your teeth without a toothbrush. In a pinch, at least, you can get your teeth clean enough until you can find a toothbrush. Step 1 - Wash your hands thoroughly. With your forefinger still wet, rub your finger over the teeth and gums on one side of your mouth. Rinse your finger and repeat on the other side. Step 2 - Wet the end of a paper towel. Wrap around your fingers and rub over your teeth and gums in small, circular motions. Work front, back and top of teeth to remove as much buildup as you can. Step 3 - Rinse your mouth vigorously with clean water. Swish water over and through your teeth as forcefully as possible. Spit water out and repeat as many times as it takes for your teeth to feel clean. Step 4 - Use mouthwash. Many brands of mouthwash now contain fluoride and teeth whitening agents. If you are without a toothbrush but have mouthwash, "brush" your teeth by swishing some mouthwash over your teeth. Step 5 - Carry a product called Floss & WipeÂ© wherever you go. This will come in handy if you have forgotten your toothbrush while traveling. Simply open the package and use the handy floss and soft cleaning cloth combination to clean your teeth. - If you have toothpaste, you can still use it without a toothbrush. Put a small amount on your wet finger or on the end of the wet paper towel and follow steps 1 or 2. - Brush without a toothbrush while camping by finding and chewing one end of a green twig. Once frayed, the end of the twig will act as a brush. - Do not brush your teeth without a toothbrush over a long period of time. While these methods work in a pinch, proper care of your teeth should be exercised at all times to avoid dental problems. Often we forget to carry Toothbrush. It makes an unbalanced situation to us. The trick is really useful, helpful & smarter also. Thank you sir to share this information. How Often Should we Replace our Toothbrush? Choosing the right toothbrushes is one of the most important things in oral care in order to keep your teeth clean and healthy. Many people will use the same toothbrush for several months long after it is really useful. The statistics from the typical purchase rate shows that one toothbrush is bought per person per year. Since the accuracy is what is needed, it follows that as soon as the toothbrush bristles have become bent, you no longer can aim the bristles properly at the back areas of the tooth. With average brushing taking 3 to 10 minutes each time, the useful life of a toothbrush is usually less than a month. It is therefore advisable to buy several toothbrushes for each member of the family to store. This way you can throw away to the nearest dustbin any which are worn out, and not hang on to them because you forgot to include them in your shopping list. 2. Choose toothbrushes with nylon rather than natural bristle. 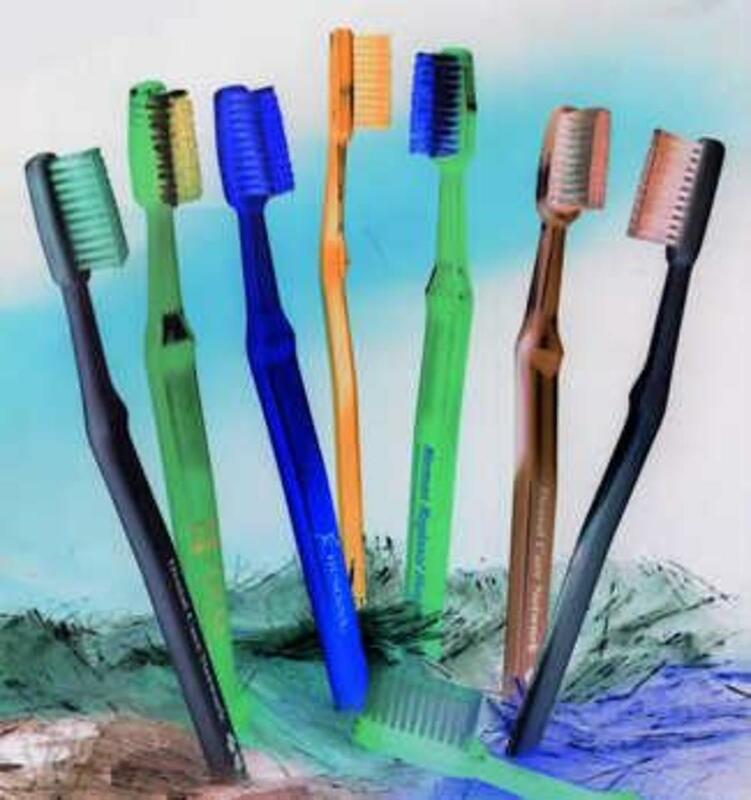 Toothbrushes with nylon bristles are cheaper, last longer, dry out faster and do not become soft as those toothbrushes with natural bristles. 3. Do not choose toothbrushes labeled soft unless the toothbrushes are for young children or you have been instructed to do so by a dentist. The toothbrush bristles need to be rigid to dislodge plaque. Hard bristles will be better for you. Follow the three rules and choose the cheapest toothbrush you can find, but buy plenty of them. Now that you have chosen a toothbrush, the next thing you need is to choose toothpaste. Choose toothpaste with fluoride. This is because fluoride has a significant decay reducing effect. This decay reducing effect is as much as 30 percent. Introduce your children to toothpaste as early as it is possible so that you can minimize chances of your children having decayed teeth. For the adults, brushing your teeth with good toothpaste and fluoride toothpaste will reduce secondary decay around fillings as well as root decay. Good toothpaste will make your mouth feel fresh after you have brushed. There are no shortcuts to good brushing of teeth. Among many people, there is a believe that antiseptic mouthwashes are good substitute for the toothbrush and toothpaste. This is not true as most mouthwashes have little effect beyond giving your mouth a fresh feeling. Mouthwashes with chlorhexidine are worth a try as chlorhexidine is partially effective against plaque bacteria. Rather than using chlorhexidine mouthwashes on a daily basis, just use it once a week and the rest of the days clean your teeth using a toothbrush and toothpaste. 1. Brush you teeth after every meal and especially before you go to bed. 2. Your toothbrush is a disposable item. Replace your toothbrush every 2-3 three months or sooner if the bristles become worn out or splayed. 3. Keep your toothbrush dry and uncovered with bristles facing downside as micro organisms will thrive in moist toothbrush. 4. And as crude as it may sound, brush your teeth once in a while with a paste made of bicarbonate of soda and water to remove minor stains on teeth - your teeth will become whiter. 5. If you can avoid cigarettes and chewing tobacco; they lead to bad breath and may cause cancer. 7. Once every 2-3 years see a dentist to examine your teeth. They'll always have something to tell you. 8. When you brush your teeth, brush your tongue too to help have even fresher breath. Rinsing with mouth-washes may seem great but this is not the case. They have high alcohol concentrations that may dry out the mucus membranes and aggravate existing inflammations.